1. Volunteering connects you to others. One of the better known benefits of volunteering is the impact on the community. Most volunteer with the want to help others. However, Volunteering is a two-way street, and it can benefit you and your family as much as the cause you choose to help. Volunteer work helps you make friends, expand your network, and boost your social skills. Volunteering provides many benefits to both mental and physical health. One of these benefits is it can help boost self-confidence, self-esteem, and life satisfaction. Nothing provides a natural sense of accomplishment then doing good for others. Good that will be beneficial to a whole community. And the better you feel about yourself, the more likely you are to have a positive view of your life and future aspirations. Not to mention the physical health benefits you receive from doing a little manual labor. Volunteering gives you the opportunity to practice important skills used in the workplace, such as teamwork, communication, problem solving, project planning, task management, and organization. You might feel more comfortable stretching your wings at work once you’ve honed these skills in a volunteer position first. While learning new skills can be beneficial to many, it’s not a requirement for a fulfilling volunteer experience. Bear in mind that the most valuable skills you can bring to any volunteer effort are compassion, an open mind, a willingness to do whatever is needed, and a positive attitude. You shouldn’t look at volunteering as work. Volunteering is a fun and easy way to explore your interests and passions. Doing volunteer work you find meaningful and interesting can be a relaxing, energizing escape from your day-to-day routine of work, school, or family commitments. Volunteering also provides you with renewed creativity, motivation, and vision that can carry over into your personal and professional life. Ask questions: if you have any questions before your trip don’t be afraid to ask. Your volunteer coordinator can address any questions you have. Know what is expected: You’re going to be away from home and basic amenities the longer then you’re probably use to. It may also be your first time out of the country. This can sometime get stressful, but can be circumvented if you prepare yourself. Enjoy yourself: Most importantly, make sure you’re having fun! 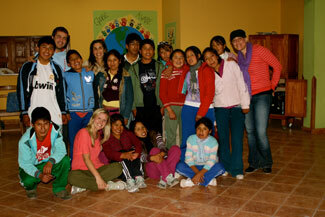 The best volunteer experiences benefit both the volunteer and the organization. If you’re not enjoying yourself, ask yourself why and change it so you can be enjoying yourself. Purchase this $28.95 survival cord bracelet to memorialize your experience. Proceeds will go toward the purchase of more project materials for the location you choose. The time I spent volunteering in Cusco, Peru with Global Aware is something that shall forever be engrained in my memory as an unbelievably beautiful and eye opening experience. 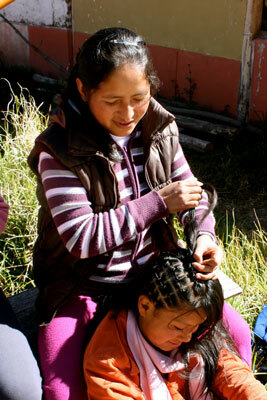 I was given the chance to understand a culture so very different from my own. 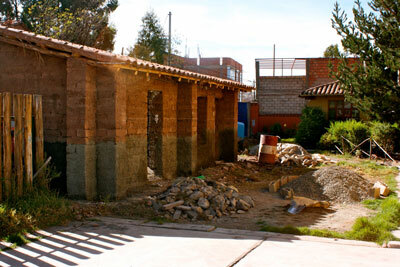 I arrived at the Cusco airport slightly hesitant as I suddenly realized I had arrived in a country where I knew no one, nor spoke the language, but my worries quickly diminished as soon as I met Rocio at the Albergue. She greeted me with warmth and friendliness. At that point I knew I was in for an amazing trip and I decided to jump in whole heartedly. Getting to know the children was an experience that will forever be one of a kind. Bonding over soccer, volleyball, and schoolwork made me realize that verbal communication is simply just one in the vast variety of aspects in which we find it possible to connect with others. We lived in entirely different worlds, yet we shared so much in common. I enjoyed the opportunity to help construct a new classroom for the students. Climbing up high on beams to stick plaster to the ceiling and digging out holes for the electrical components. I loved learning Spanish from the same kids who I was trying to teach English to, and I came to understand that they had just has much to teach me as I had to teach them, if not more. I will never forget dancing around with the girls as if we knew the same songs and dances, and exchanging smiles over dinner at the end of a full day. Laughing hysterically with the kids over jokes and tasks gone hilariously wrong. I remember so vividly having the toughest time saying goodbye to my new friends at the Albergue, which I had been pleased to call home for my duration in Cusco. I hope to return someday and reconnect with the same smiling faces who became my friends that summer. And vote katie on Globe Aware’s Facebook Page! Globe Aware has joined Pinterest! Globe Aware has recently joined the online pin board Pinterest. We are sharing beautiful photos for our volunteers past, present and future to add to their own boards. 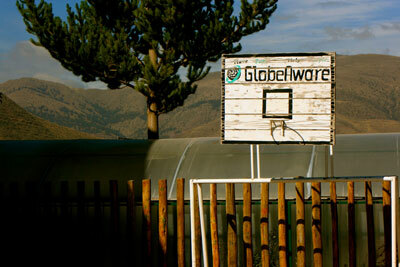 Globe Aware trips are perfect additions to your travel boards, wish list, or bucket list boards. Follow us today! See what other volunteers have experienced: the change they have made in communities as well as the breathtaking beauty of the destination. Pho s a Vietnamese noodle soup consisting of broth, linguine-shaped rice noodles, a few herbs, and meat. It is a popular street food in Vietnam and the specialty of a number of restaurant chains around the world. Pho is primarily served with either beef or chicken. 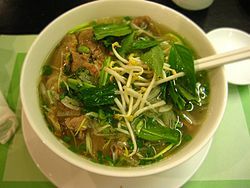 The Hanoi and Saigon styles of pho differ by noodle width, sweetness of broth, and choice of herbs. The origin of pho and its name is a subject of scholarly debate. Meanwhile, place a large pot over high heat. Poke the meat all over with a fork to tenderize it and season with salt and pepper. Sear the meat until charred but still rare, 2 to 3 minutes per side, then transfer to a plate. Add the onion and ginger to the pot; cook about 4 minutes. Add the broth, 3 cups water, the star anise and cinnamon, reduce the heat and simmer about 20 minutes.